Hello everyone! My name is Luke Kling and I am the new team member here at PeerFly. I am taking over the “Affiliate Manager” position and a few of the other team members are being moved around, but first let me tell you a little bit about myself. I am currently enrolled at Illinois State University as a Junior and I am studying Information Systems Web Application Development. Building websites has been a passion of mine since I was about 13 years old and during that time I have tried to learn everything I could about everything on the Internet. Eventually, that led me to affiliate marketing. 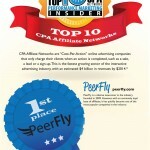 To make a long story short I have been working in the affiliate industry for about 5 years now and that has brought me to PeerFly. 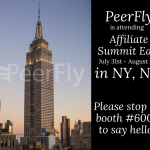 Here at PeerFly I will be working directly with Publishers providing general support, guidance, and management. You are welcome to contact me anytime if you have any questions. My contact information is listed on the Contact PeerFly page. You may have noticed a few other changes on our Contact page. 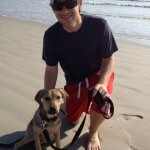 Travis, who was previously a PeerFly Affiliate Manager, is now in charge of Advertising/PR. Corey, who was in charge of Advertising, is now our primary Fraud Prevention and Approvals guy. Again, please feel free to contact me anytime. I look forward to working with you all! Good to see you rise. Well, I have been trying to get approval from your team but your team is not letting me in. PLEEEEEEEASE help me get approval. Really looking forward to positive response.